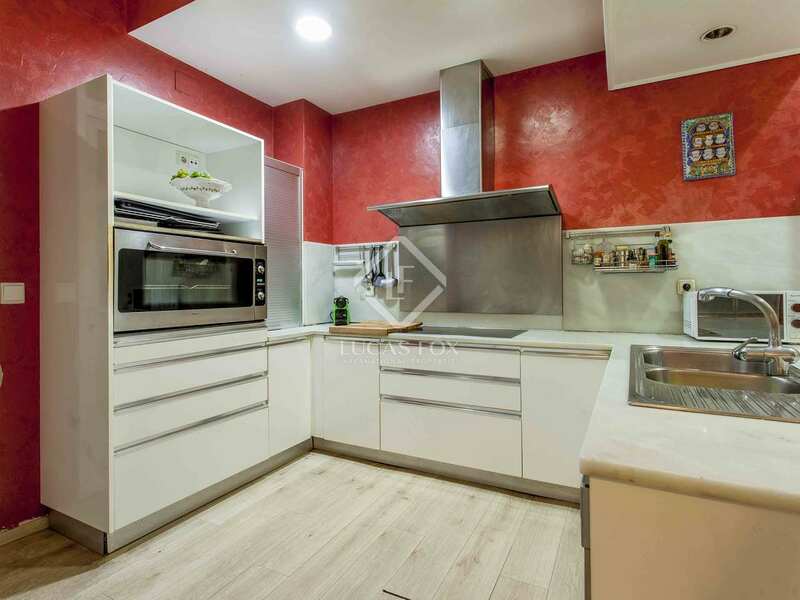 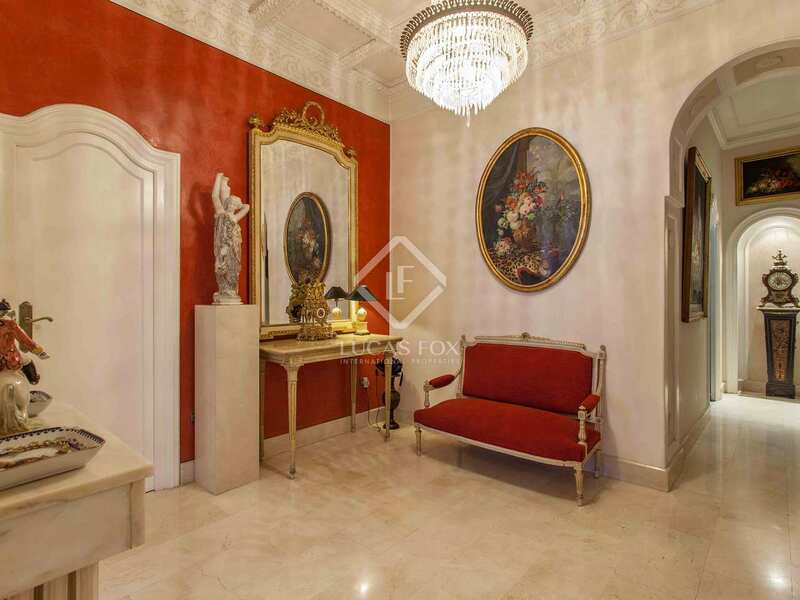 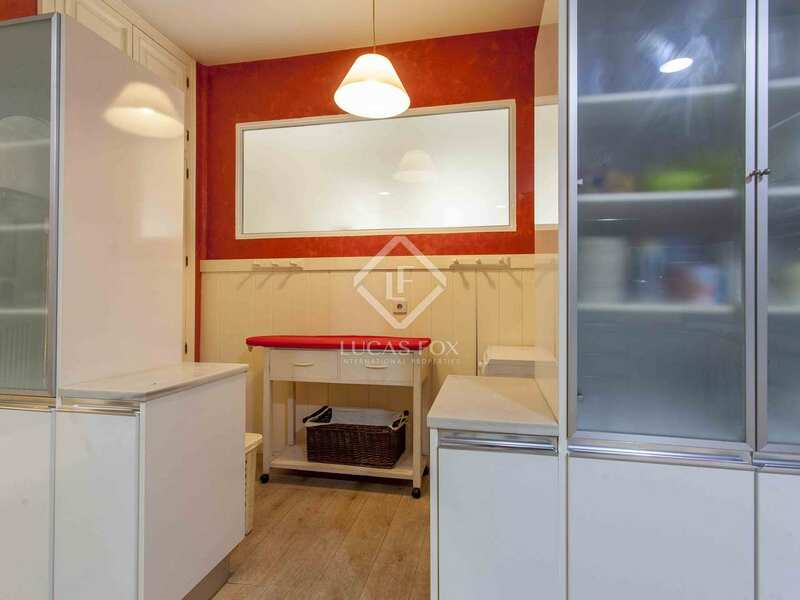 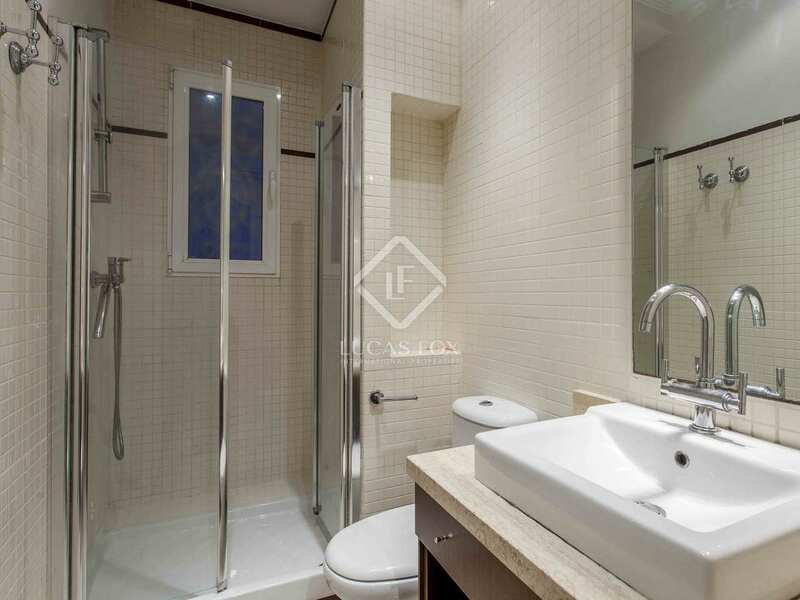 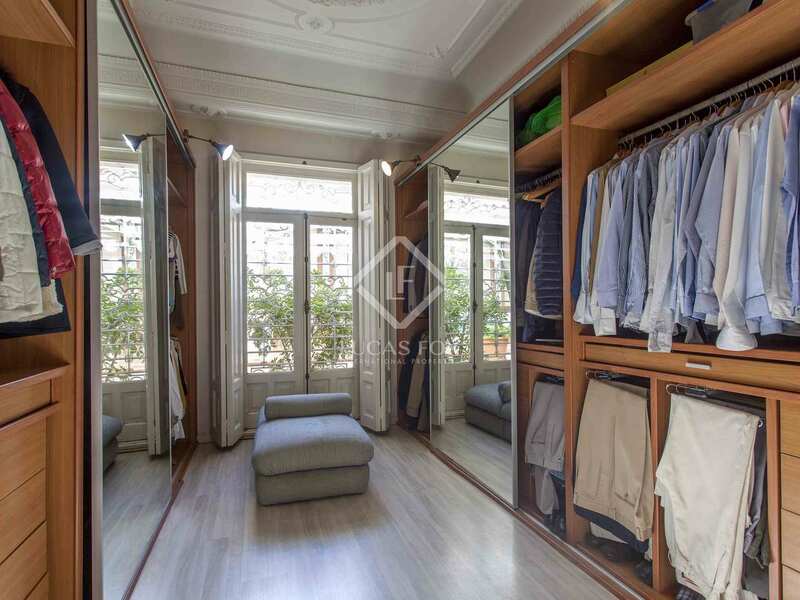 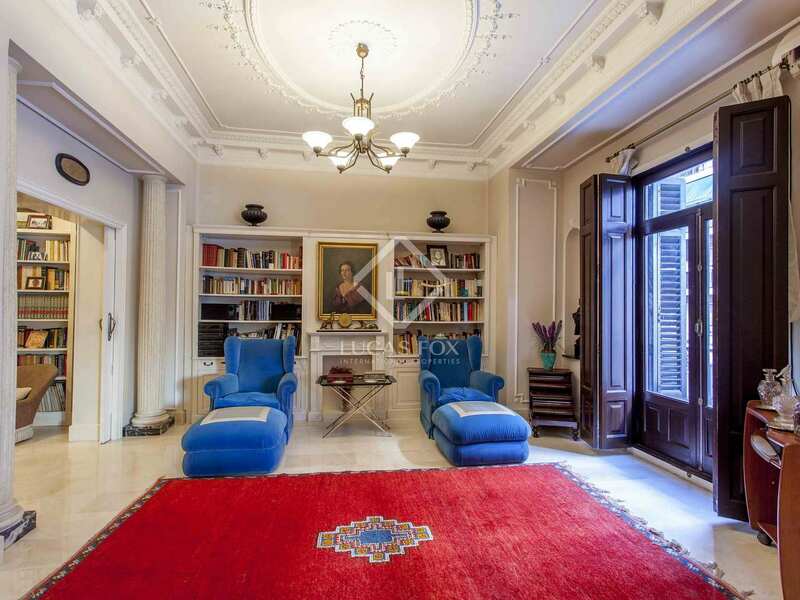 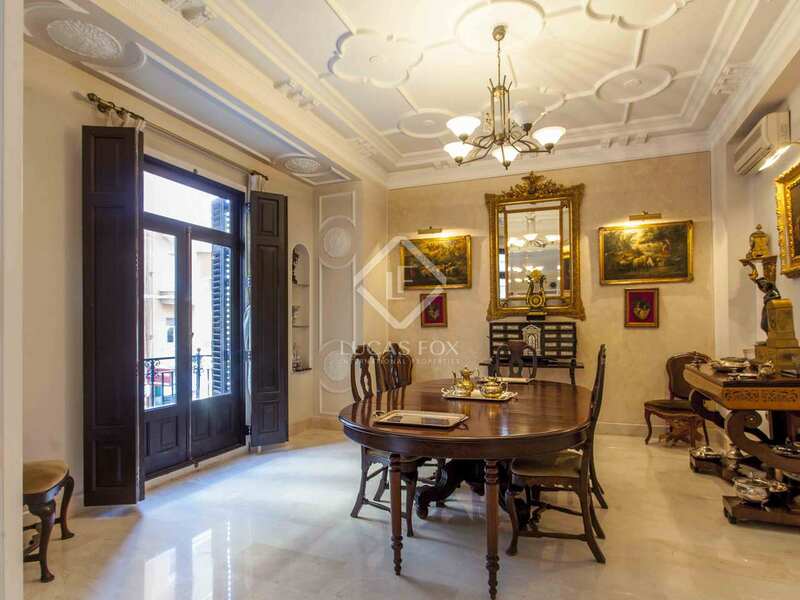 Magnificent 5-bedroom apartment for sale in an excellent location, in the neighbourhood of Arrancapins, next to Valencia’s Plaza de España. 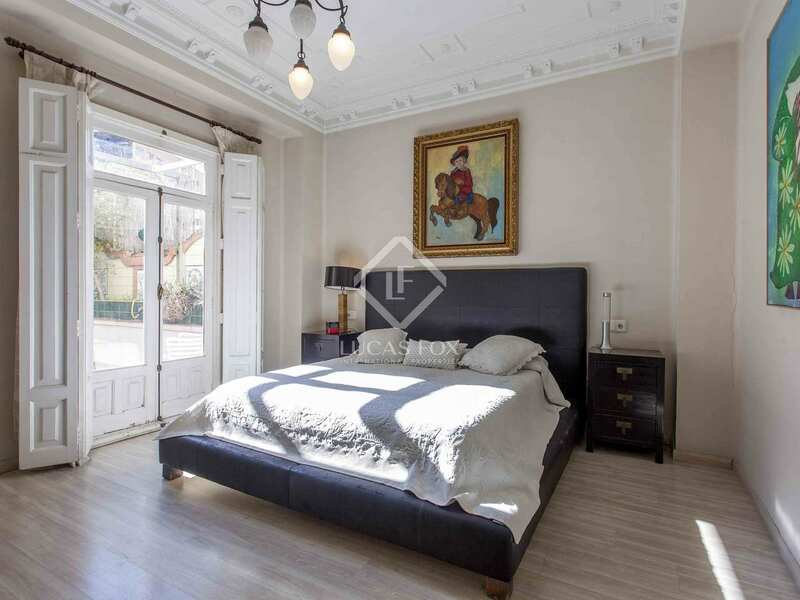 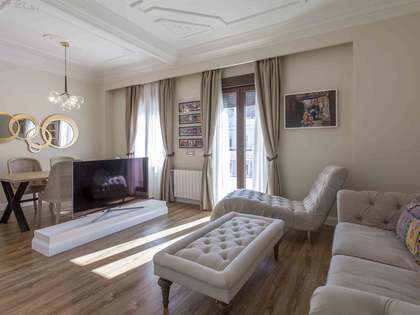 This bright and spacious 347 m² property occupies the first floor of a historic building with lots of charm, with high ceilings and beautiful mouldings. 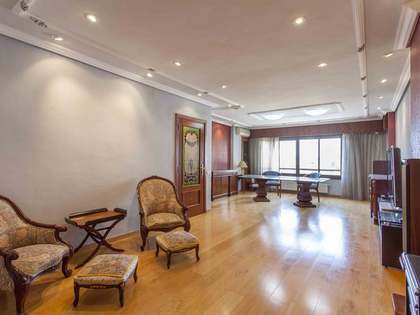 It is very close to Valencia's Plaza de España, in an area with many restaurants, international schools and a wide variety of services. 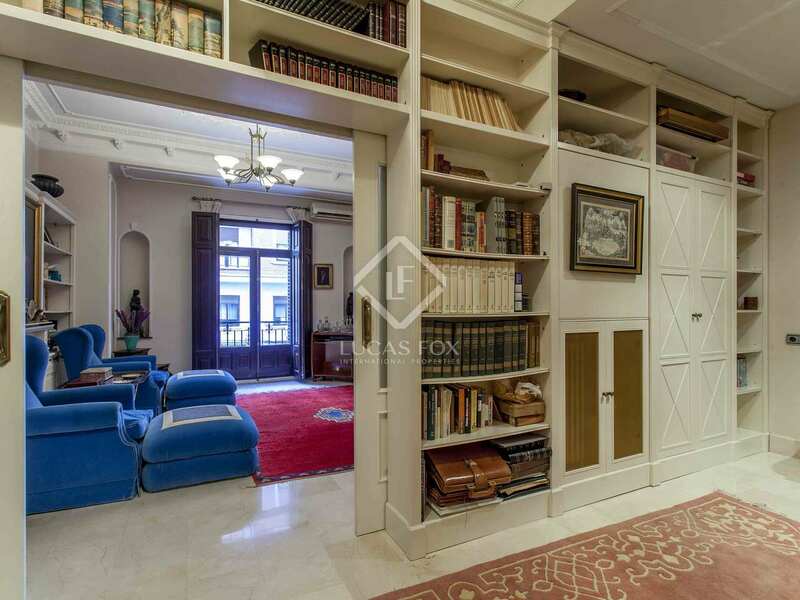 The entrance of the apartment has a large hall with access to a magnificent living room and an attractive library. 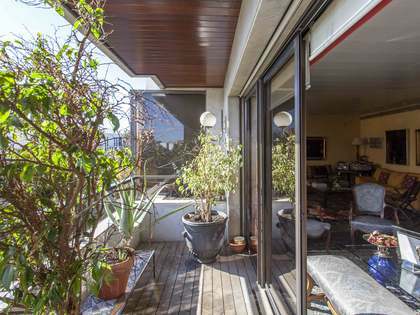 The living-dining room has access doors to balconies along the façade of the property, offering views of the Arrancapins neighbourhood. 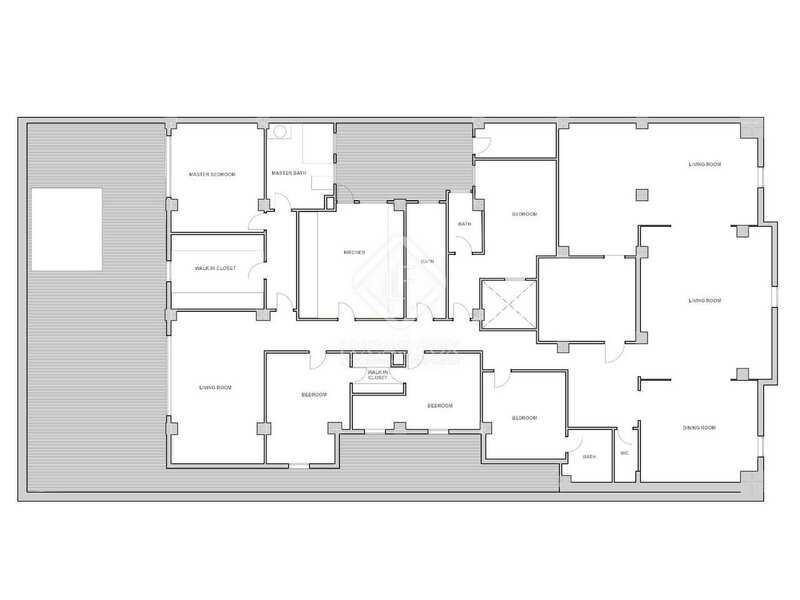 A hallway leads to the rest of the rooms: the 5 large bedrooms (3 of them with dressing room) with their respective private bathrooms, and a kitchen with access to a utility room and storage room. 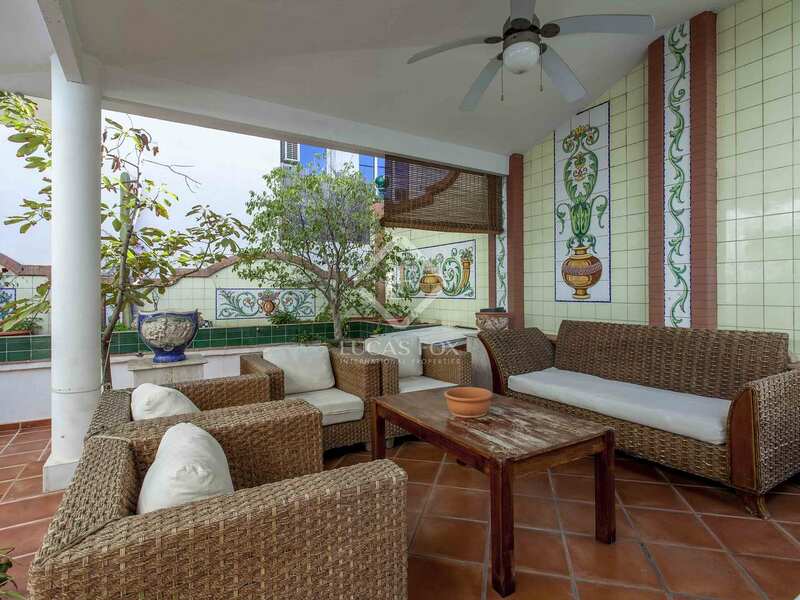 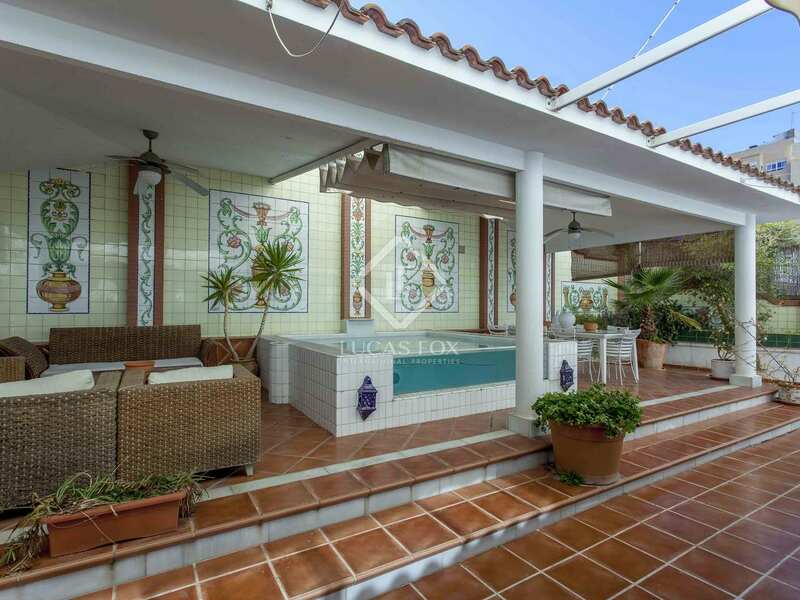 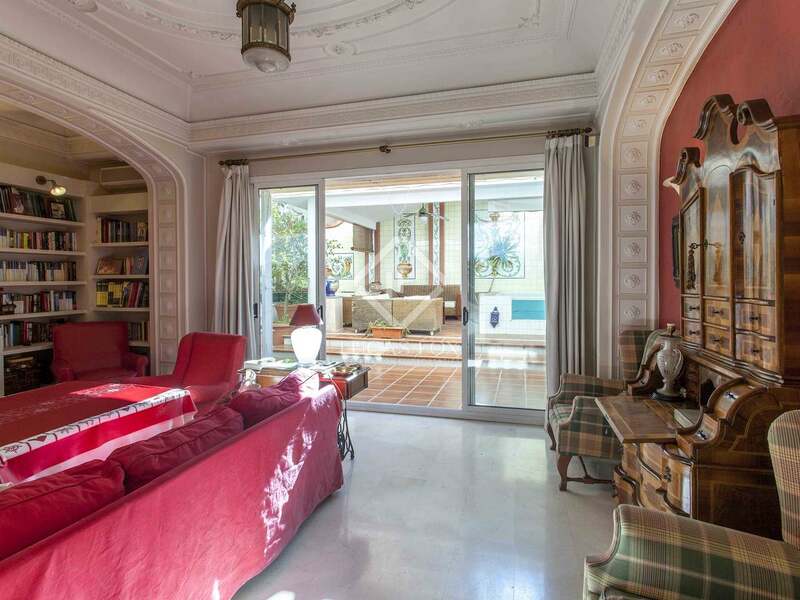 At the end of the hallway is a spectacular spacious living room with access to a 150 m² terrace. 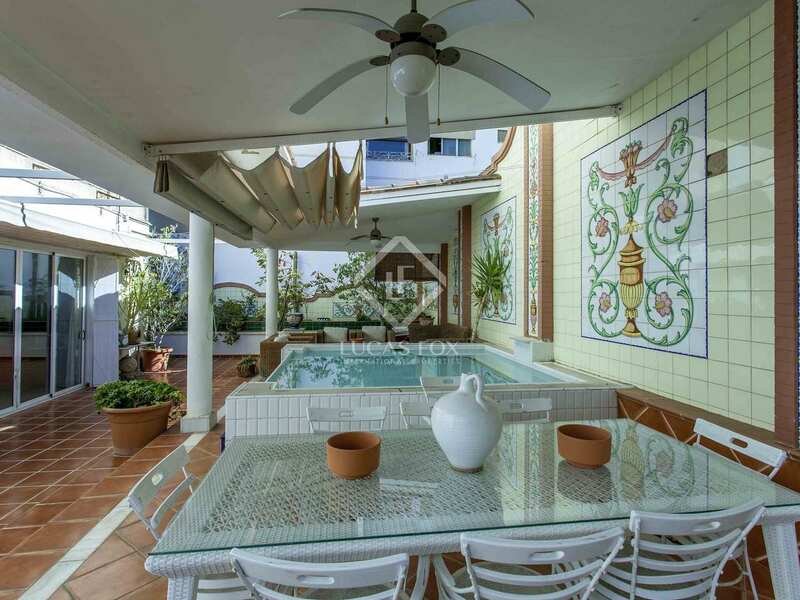 The terrace has a porch and a chill-out area with a beautiful transparent pool. 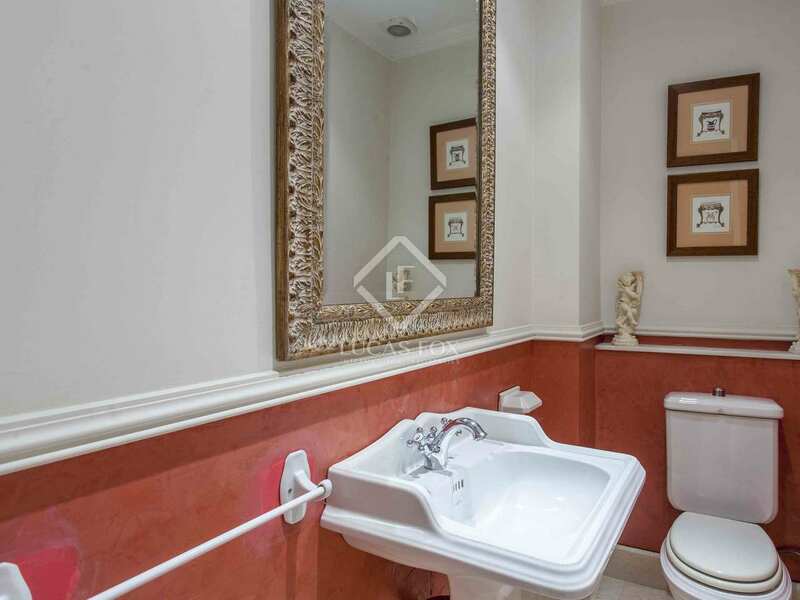 A guest toilet completes the layout. 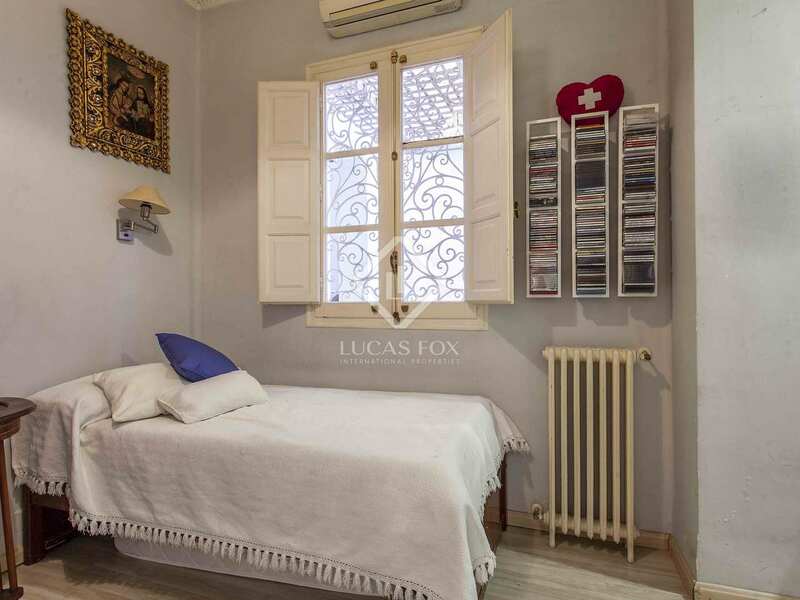 The master bedroom, which is located on the far side of the property, has 2 complete bathrooms and an adjoining room that is currently used as a dressing room. 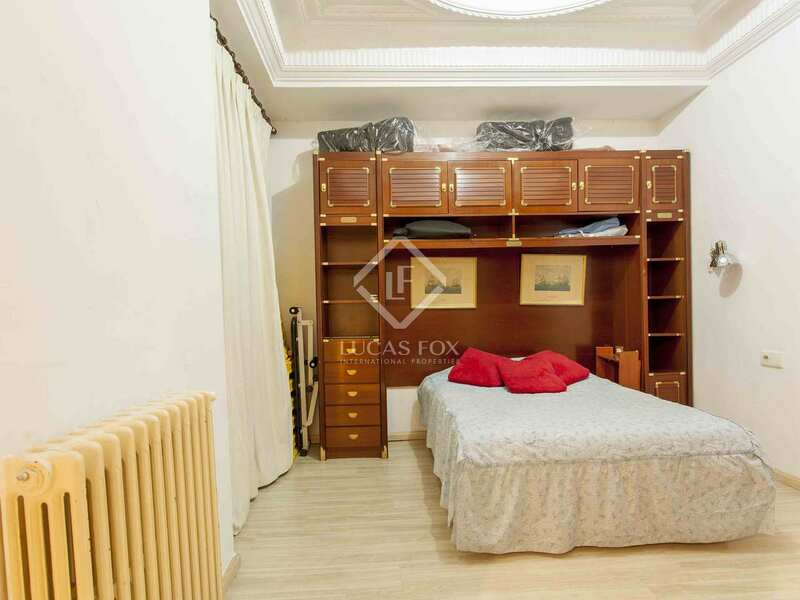 Both the bedroom itself and the dressing room have access to the terrace. 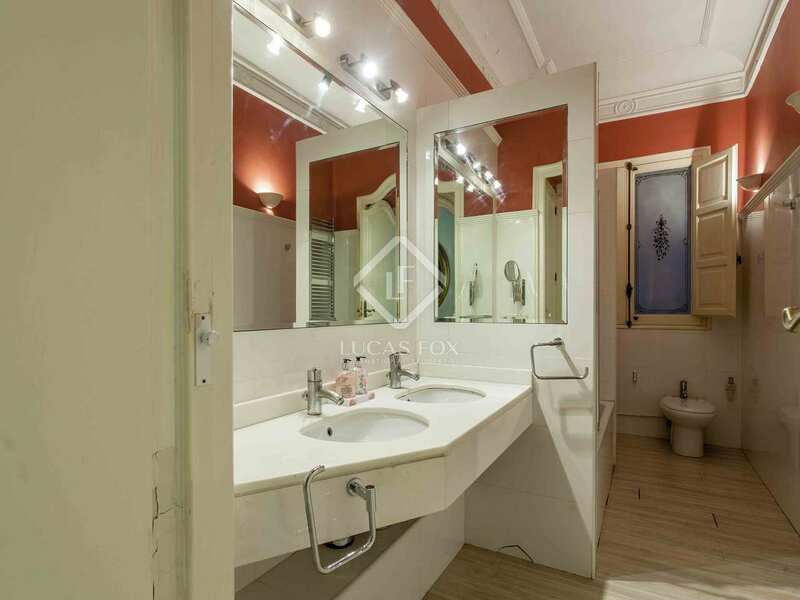 The property has a lot of charm. 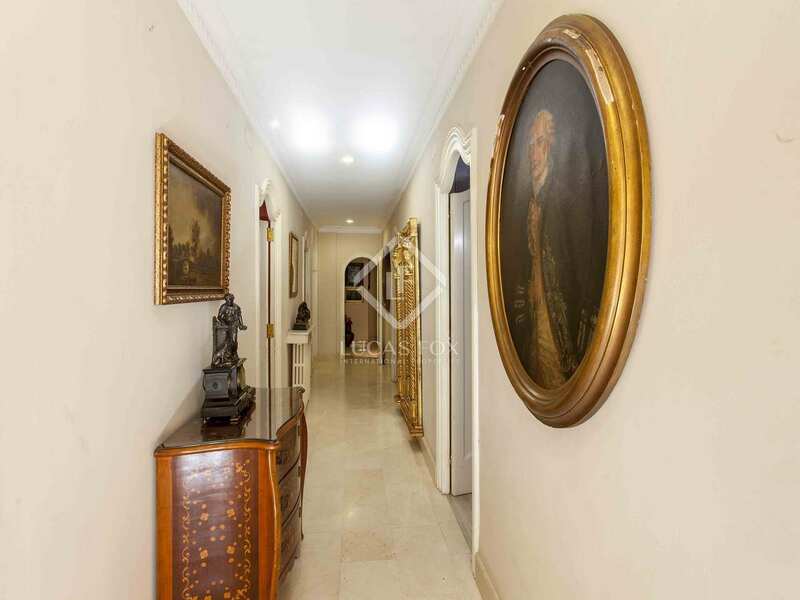 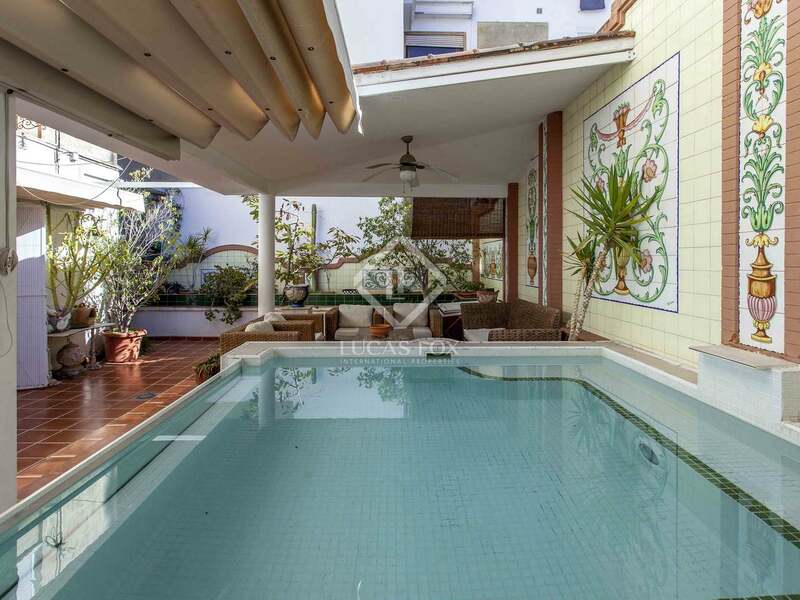 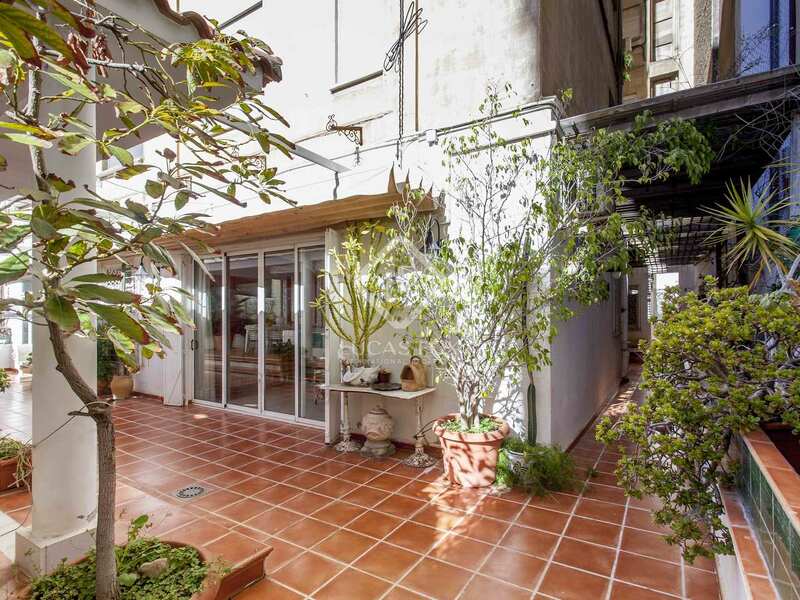 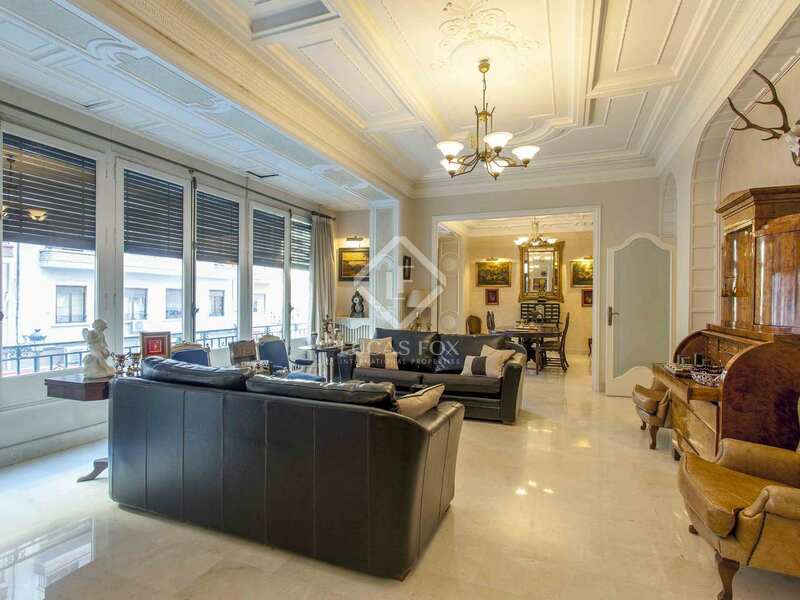 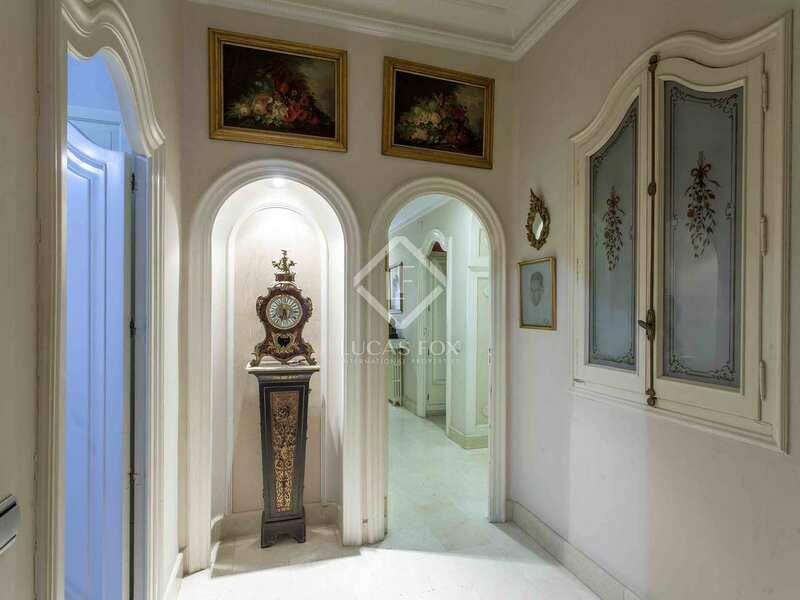 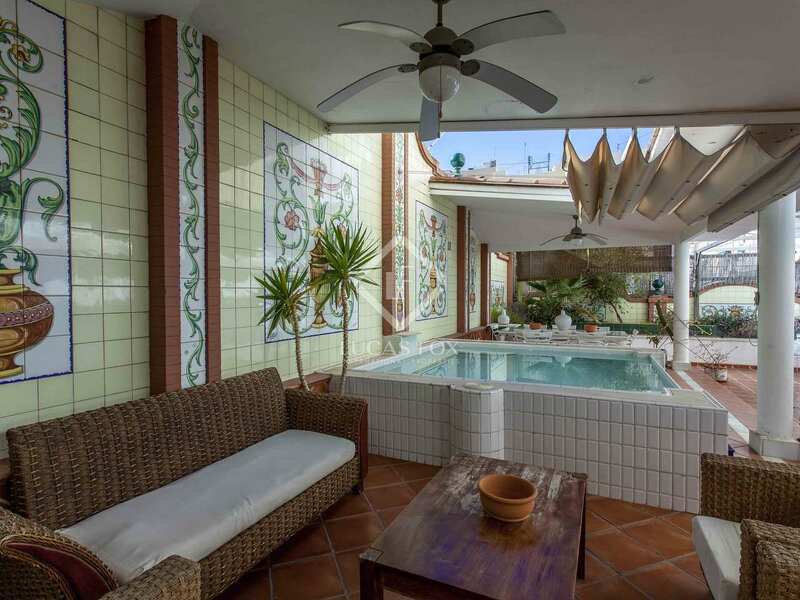 It is built with high-quality materials and the essence of the building has been maintained by preserving the original doors, high ceilings and carvings, creating a truly unique home in the centre of the city of Valencia. 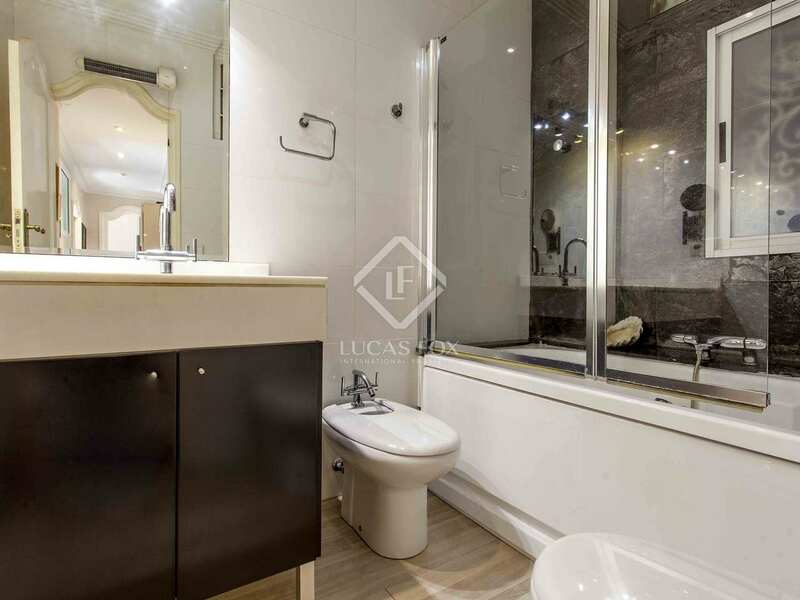 It is also fully equipped with a cooling system and gas heating by radiators. 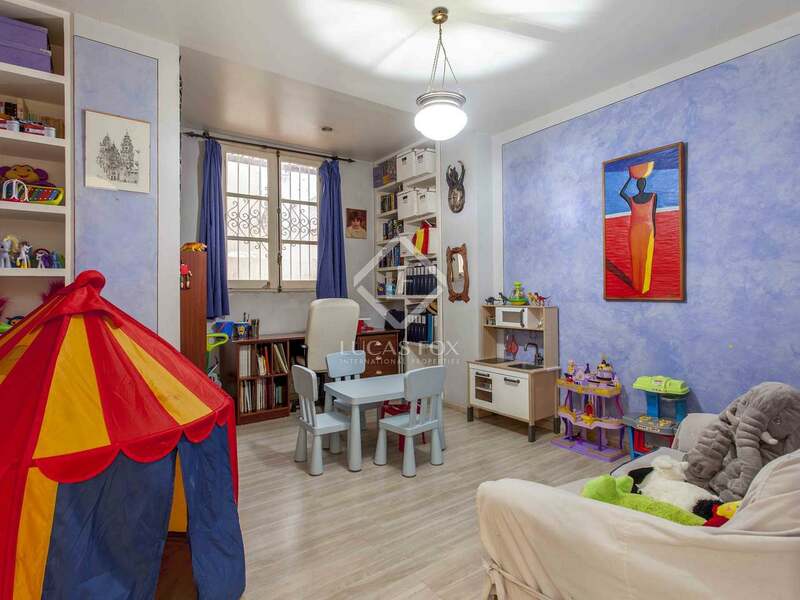 Without a doubt, this is the ideal apartment for a family. 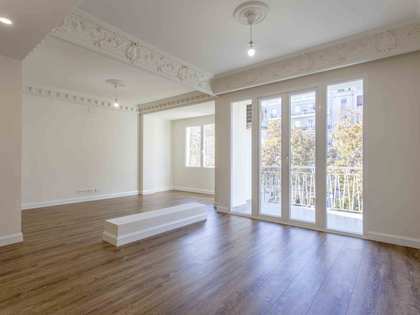 The apartment is located in a historic building near Valencia's Plaza de España, in the Arrancapins neighbourhood. 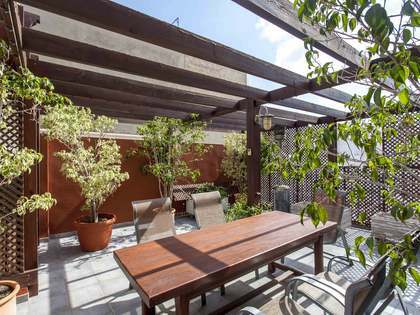 The area offers fabulous restaurants and all kinds of services, including international schools. 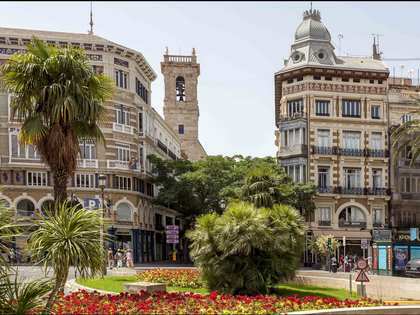 It is also very well connected by public transport, with bus, train and Metro lines.